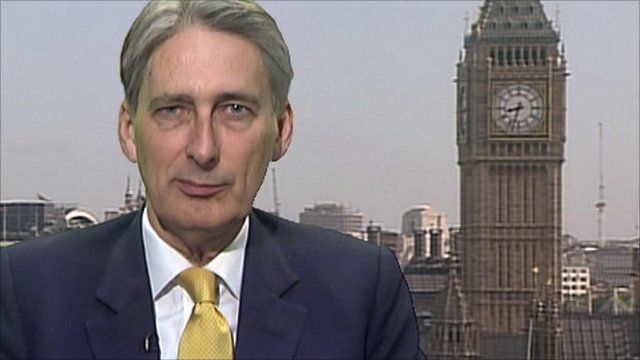 Transport Secretary Philip Hammond has rubbished claims from Michael O'Leary that the ash cloud spreading from an Icelandic volcano does not exist. The Ryanair boss had told the BBC a test flight on Tuesday morning revealed "no evidence" of any ash. Mr Hammond said the information he had seen regarding the Ryanair flight suggested it "did not actually fly in any areas" where ash was expected. He added that a Loganair plane which flew today had "encountered some light ash".